Mubarak was never able to silence completely civil society. The judiciary rose up to check his periodic grabs to expand his power, frustrating his regime so much that in his last years, he collaborated with the military to set up an entirely separate system of military courts to try scholars, activists and others who spoke out in defiance. All of that is gone now. In just one week, we have had a dizzying series of show trials and detentions. In three cases, civilian judges handed down death sentences against large number of supporters of former Egyptian President Mohammad Morsi, including the Muslim Brotherhood’s top religious figure. In another, three Al Jazeera English journalists were convicted of “falsifying news” and belonging to or assisting the banned Muslim Brotherhood. Finally, on Tuesday, 23 Egyptians were detained for a peaceful march to the presidential palace. The protesters were first attacked by groups of men in civilian clothes before they were arrested for violating the new Protest Law. Some may have been simply bystanders. One was a noted women’s rights activist who told friends she was arrested while buying water from a kiosk near the protests. All of this is disturbing, but most of all the total failure of the judicial system to maintain any semblance of fair justice. Some of the details resemble dark comedy. The low point of a bad week of the judiciary came in one of the death penalty cases, involving 683 defendants. As the judge listed the sentences, one of the defendants was first sentenced to death and then to 15 years in prison. Three days later, there’s still public confusion about which sentence he received. A second man sentenced in a second death penalty case was a blind man who could not have possibly been involved in any political violence. Piously, Egypt’s leaders deny any politicization of the judiciary. Responding to pleas from President Obama to release the journalists, Egypt’s new president Abdul el-Sisi, said on television that he wouldn’t dare interfere with the rulings because that doesn’t happen in Egypt. It’s despicable that after this week President Sisi would celebrate “the independence” of the Egyptian judiciary. Egypt’s judicial system is broken and is no longer able to deliver justice.Its role now is to silence dissent. That should be a matter of concern to the Egyptian president, but the judiciary’s failure is far too closely related to the expansion of the regime’s powers, its broad ability to silence all political activity, and the wide immunity its police, security and military forces have for any abuses. 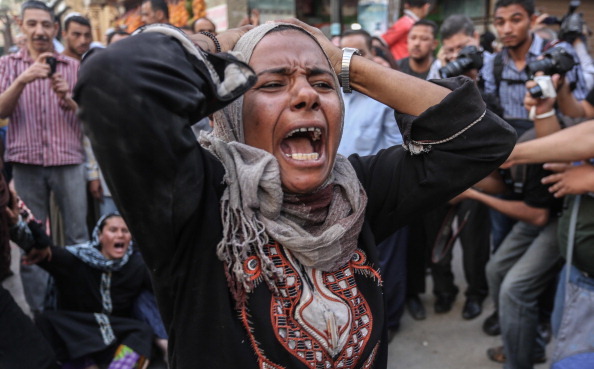 This is a familiar pattern of abuses for Egypt. 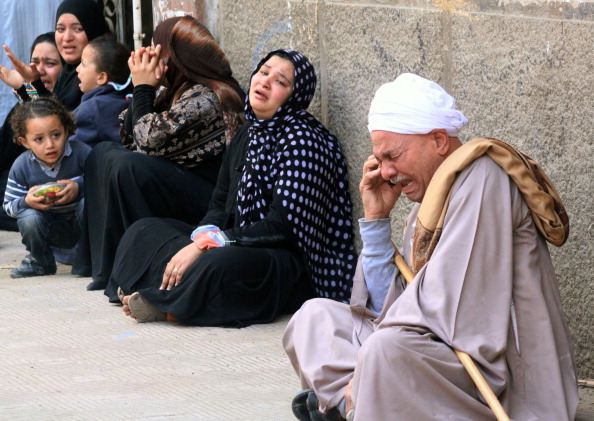 What’s new is now Egyptians can’t depend on the judiciary for the mildest of protections. 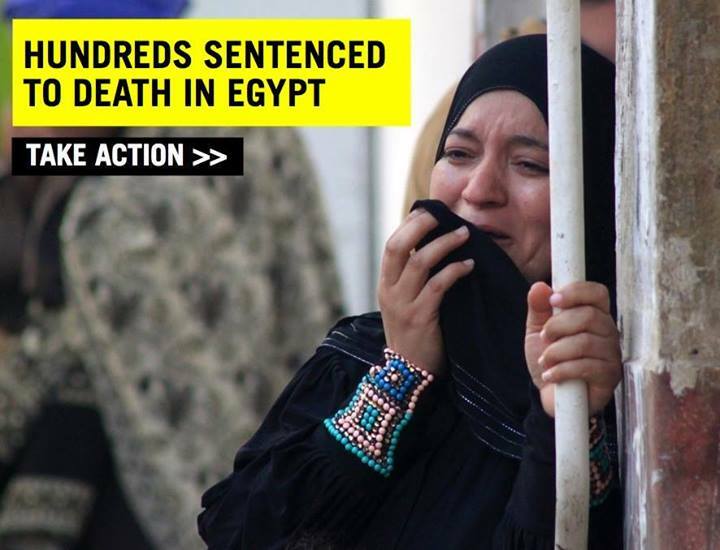 Take action to have Egyptian officials release all prisoners of conscience, squash the death sentences and end the use of the death penalty in all cases.